Largely razed in the name of 1990s urban redevelopment, LaVilla was one of Jacksonville's most walkable neighborhoods with a fascinating history. A haven for 19th and early 20th century immigrants and African-American residents, LaVilla was founded in 1866 as its own independent town by Francis F. L’Engle. Home to Henry Flagler’s Jacksonville Terminal (built in 1897), it became the site of a large red-light district called “The Line”, a black-owned streetcar system called “The Colored Man’s Railroad”, and a setting for women-owned businesses leading to a cultural and entertainment scene culminating with the first published account of blues singing on a public stage in 1910. Today, many people refer to LaVilla as the Harlem of the South. However, in reality, one could argue that Harlem is the LaVilla of the North since the Harlem Renassaince didn’t occur until many key figures from LaVilla’s past like James Weldon and John Rosamond Johnson, A. Philip Randolph, “Ma” Rainey, and Zora Neale Hurston made their way north as a part of the Great Migration. 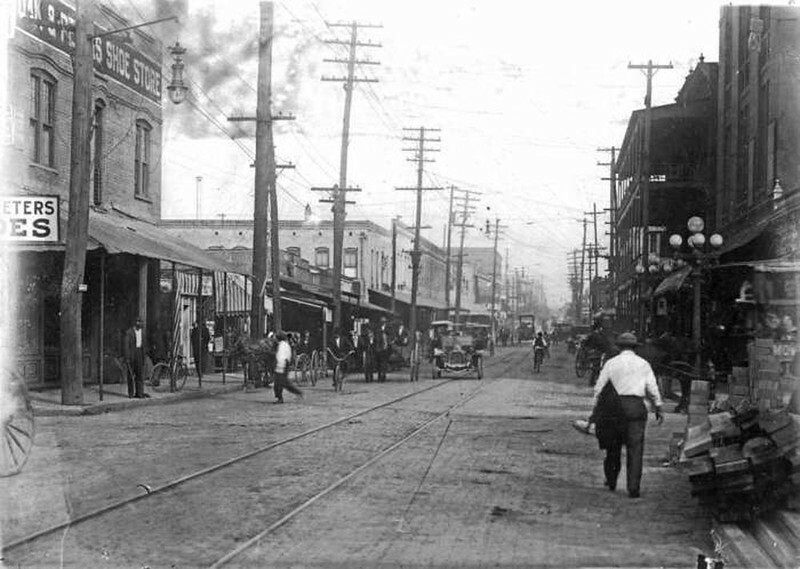 With that said, you’ve probably heard a lot about what LaVilla used to be but we rarely see images of the neighborhood during its heyday. Well to kick off Black History Month, here’s a few! 1. A 1920s view of Broad Street, looking south from the roof of the Masonic Temple. Courtesy of the Library of Congress. 2. Looking north down Broad Street and the streetcar tracks of the North Jacksonville Street Railway, Town and Improvement Company. Established in 1902 by several prominent members of Jacksonville’s black community, it was known as “The Colored Man’s Railroad. 3. A streetcar heads in the direction of Downtown on West Bay Street in front of the new Jacksonville Terminal in 1921. Courtesy of the State Archives of Florida. 4. 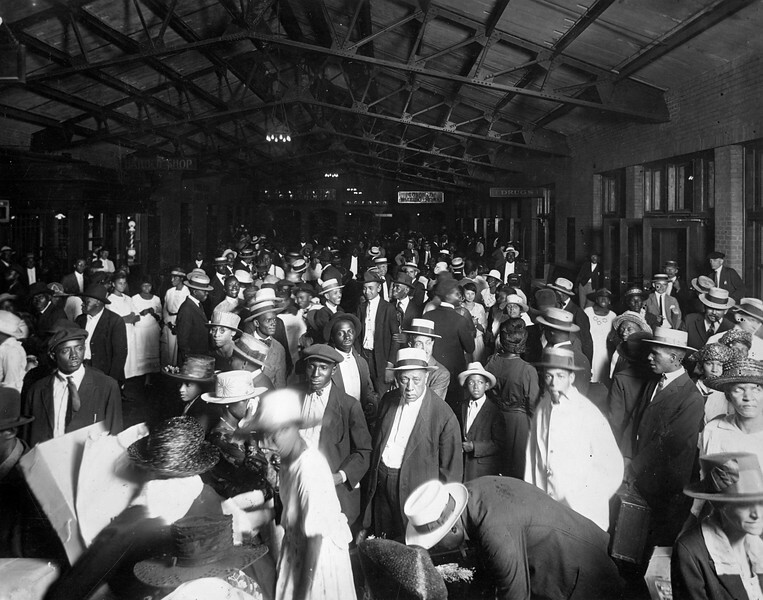 African-American passengers inside the Jacksonville Terminal’s concourse in 1921. Courtesy of the State Archives of Florida. 5. 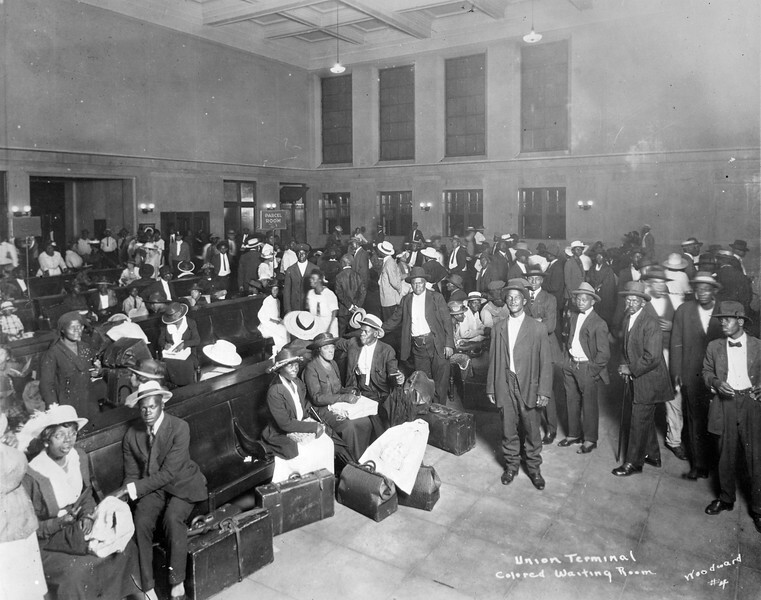 A few of the black passenger waiting room at the Jacksonville Terminal in 1921. 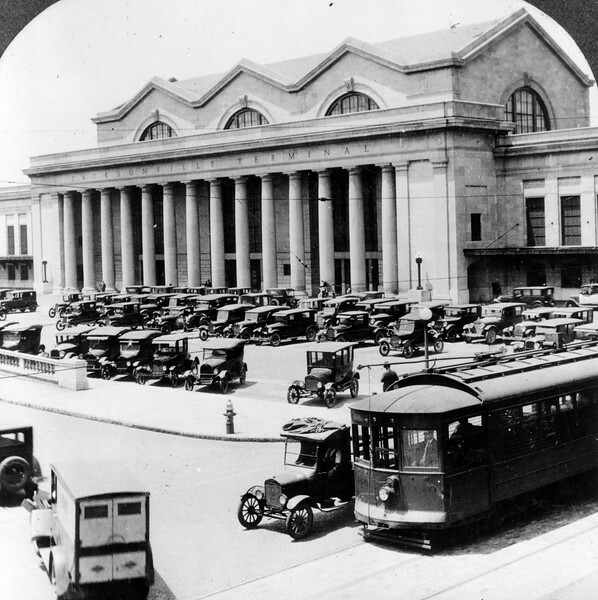 At its height, LaVilla’s Jacksonville Terminal was the largest train station south of Washington, DC. Courtesy of the State Archives of Florida. 6. 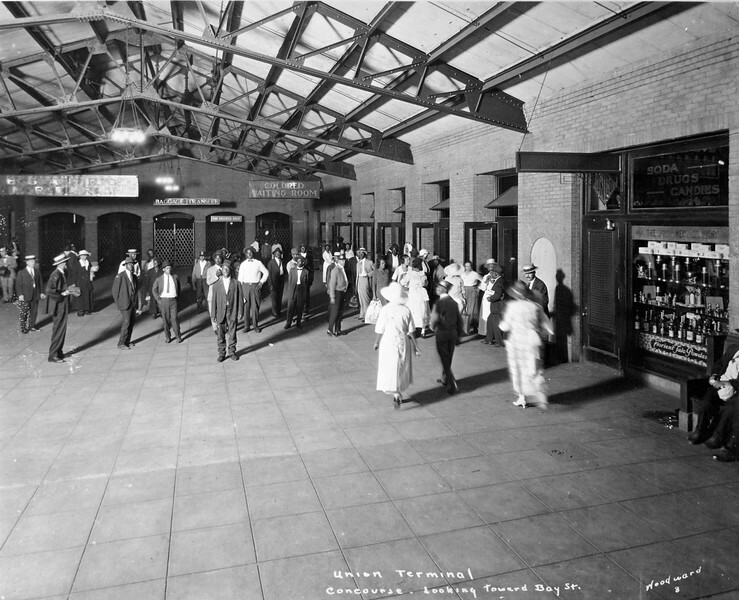 Another view inside the Jacksonville Terminal’s passenger concourse in 1921. Courtesy of the State Archives of Florida. 7. Looking west towards Railroad Row at the intersection of West Bay and Broad streets. Railroad Row was a mixed use district filled with hotels, restaurants, bars and wholesale industrial uses between Downtown Jacksonville and the Jacksonville Terminal. Courtesy of the State Archives of Florida. 8. The Turkish Bath, New York House and another bordello near the intersection of Houston and Davis streets in the 1970s. Lining Ward (now Houston Street), “The Line” was a large red light district filled with+60 bordellos on four blocks between Lee and Broad streets. Courtesy of the State Archives of Florida. 9. A 1970s view of Houston Street near the red light district in the 1970s. 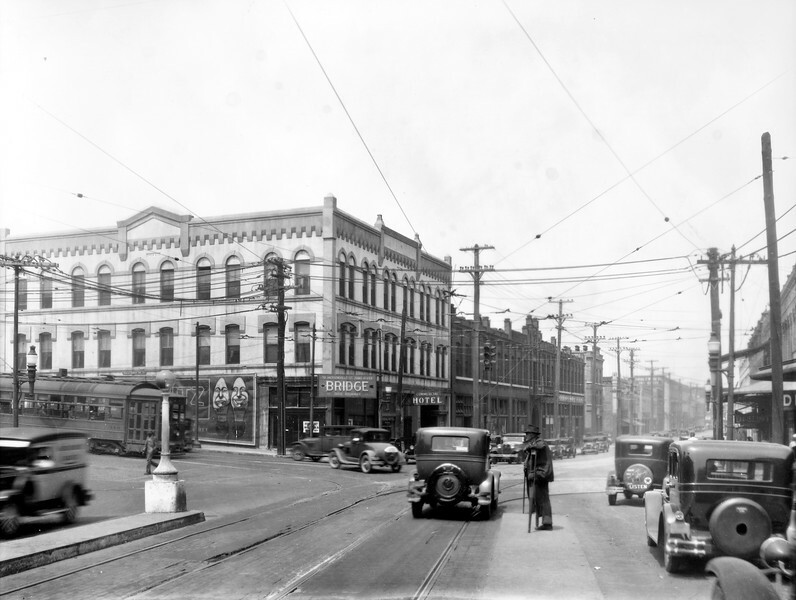 By this time a freight railroad line had been installed down the center of the street in an effort to encourage industrial redevelopment of the district. Courtesy of the State Archives of Florida. 10. 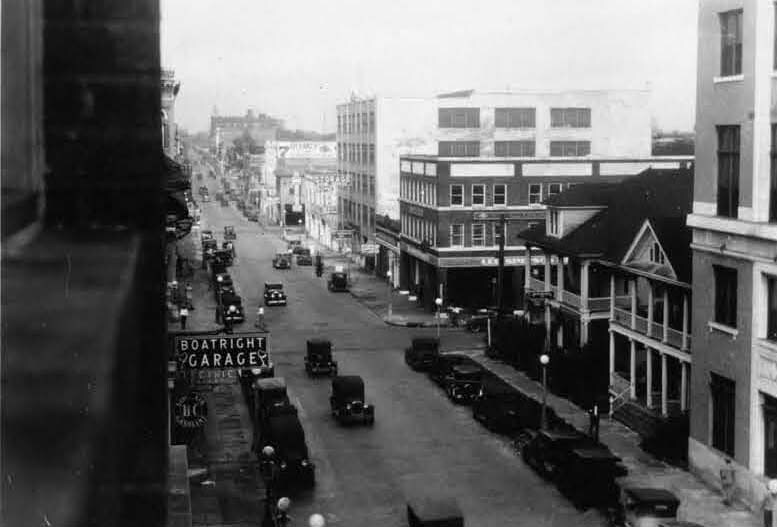 Looking west down Adams Street into LaVilla from Julia Street in 1928.Courtesy of the George W. Simons, Jr. Planning Collection at UNF Digital Commons. 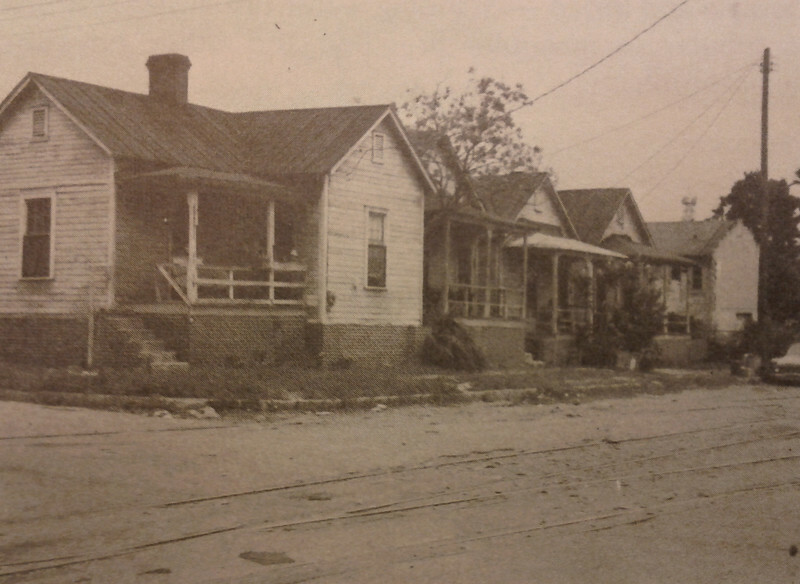 During the early part of the 20th century, this stretch of Adams Street was the epicenter of Jacksonville’s early Chinese community. Today, this stretch of West Adams Street is home to the front lawn of the Duval County Courthouse.